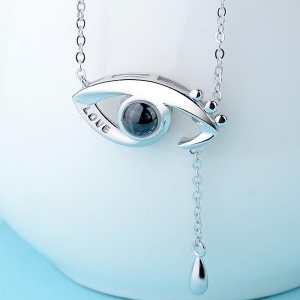 There is nothing more beautiful words than “I Love You” in the world to express your love. This 100 Languages Say I love You Angel Eye Necklace through combining with nanotechnology then engraved 100 languages of I Love You in the product. You can always feel the strong love for each other under the light projection. 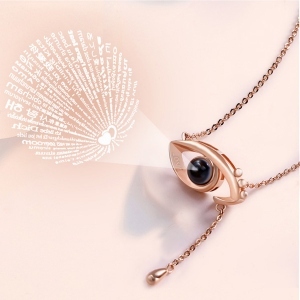 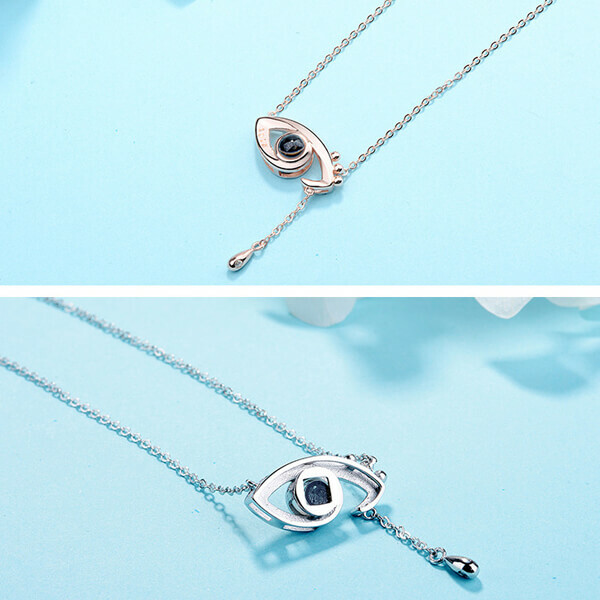 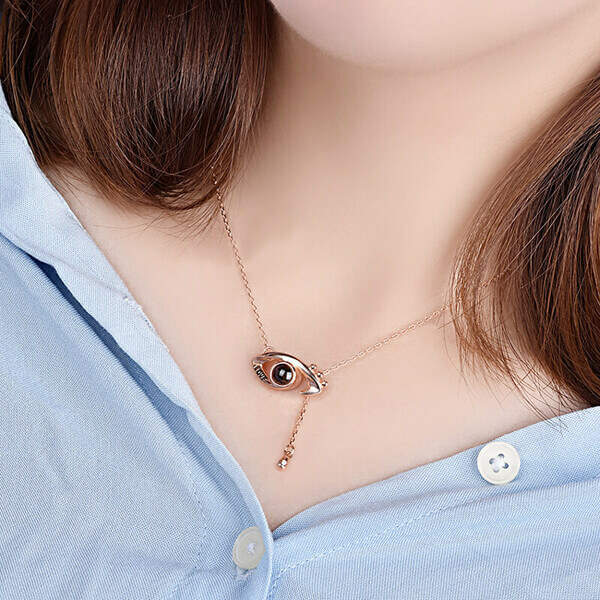 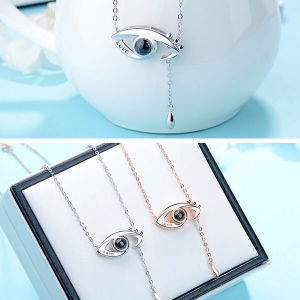 Now you can celebrate the love that keeps you all together with the sparkle Angel Eye Necklace use a wonderful way to express the love you have for those close to your heart and makes a great necklace gift for Her. 1.The chain is extended chain,the length is 16"+2".